Halifax journalist Pauline Dakin has written a book called Run, Hide, Repeat​: A Memoir of a Fugitive Childhood. It details her fearful childhood and her later quest to find out the true story behind her family's constant upheaval. It was a long time uncovering, but Halifax journalist Pauline Dakin has finally put to rest a family secret that kept her, her mother and her brother on the run for much of their lives. The bizarre tale, told in her new book Run, Hide, Repeat​: A Memoir of a Fugitive Childhood, describes a fearful early life in which the family was constantly uprooted and moved, sometimes great distances, because of a Mafia-based criminal threat. "I knew there was something very strange about my family all the time I was growing up. My brother and I would talk about 'what do you think it is?' 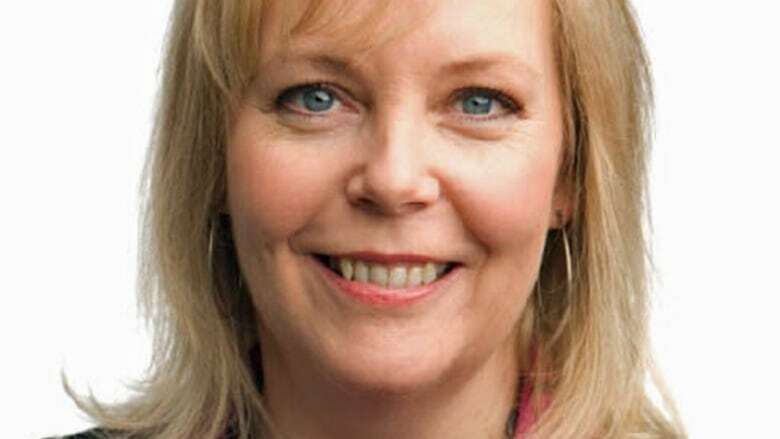 A couple of times we had moved away without telling anybody and turned up thousands of kilometres away and picked up the pieces again," Dakin, a former longtime CBC journalist, told CBC's Information Morning. By the time she was 11, Dakin had attended six schools in seven years. When she was 23, her mother decided it was time to come clean and set up a meeting with her daughter in a motel room in Sussex, N.B. It was another cloak-and-dagger scenario. "I got into her car at a gas station. She gave me a note that said, 'Don't talk. I'll explain. Take off your jewelry and put it in this envelope.'" When they reached the motel room, a longtime family friend, Stan, "who was really like a dad to me," was waiting. Stan and her mother told her the family had been on the run from the Mafia since she was about seven. "It was a very complex story," Dakin said. "It started with my real dad being involved with the Mafia, being a kingpin in the Vancouver Mafia. My parents broke up, it was a very difficult breakup." Her mother sought counselling from a United Church minister, who turned out to be Stan. "She said he'd saved her life because she was so depressed about breaking up the family," Dakin said. Their story included Stan's supposed counselling of a connected Mafia figure, which led him to believe the Vancouver crime gang was getting ready to "take action" against Dakin's mother and her children. Enter a shadowy, ill-defined anti-organized crime group, described by the pair, which only answered to the Canada's Privy Council. That group, unknown to RCMP or CSIS, was apparently tasked with the protection of Dakin's family, Dakin was told. ​That was the explanation put forth by Stan and her mother in an attempt to explain a complex tangle of bizarre and frightening events. In her book, Dakin recalls the threat of harm persisted throughout her childhood, ranging from references to poisoned carpets and violent incidents, even murder. "There was a period of time I was very afraid and looking over my shoulder — a lot," she said. She and her brother, who was told the story a bit later, eventually accepted the explanation. "There was always a nagging feeling. How could this be true? How could you have this other world, the weird world that nobody would know about? I mean, I know how hard it is for anyone to keep a secret," said Dakin, who was beginning her career as a journalist. "If I can't trust these two people who have always been there for me … well, it's all over anyway." But Dakin said she continued to live in anxiety and fear. "The implications were so large, just overwhelming. It made my life seem irrelevant and everything else that was going on. My relationships, I had great friends. I loved them. But I couldn't talk to anybody about this and so it isolated me so much." Finally, she could no longer quell her suspicions. "With Stan, I began to notice little patterns. There was an entire world of this stuff in his head. He was brilliant. But I began to notice some inconsistencies." She concocted a "sting," telling her mother and Stan her house had been broken into and asking for their help. Their response was that people had been picked up coming out of her house and the "protection people" had been watching for a while. But there had been no break in. It turned out Stan used the incident as an opportunity to bolster the story. "And it was devastating," Dakin said. Initially, her mother was horrified that Dakin no longer believed the story Stan had concocted, a story she herself was convinced was true. "She believed it to her dying day. She would never have done this to her family if she didn't believe it. The idea it had all been a hoax was too much to consider." Dakin dug deeper to find out Stan's motivation to put her family through decades of pain and anxiety. Delusional disorder was one explanation that she came up with after consulting an American doctor. "It's a really fascinating condition that is underreported, understudied, underrecognized." Paranoia and grandiosity — having unique secret intelligence — were two characteristics that immediately struck her. "All of these things really rung bells with me." Her research led her back home, to a Dalhousie University professor of psychiatry, Alistair Munro, considered to be a leading expert on the illness. She finally accepted that she and her family had been the victims of a very sick person, but that Stan's actions hadn't been malevolent. "I didn't have to hate him and I didn't have to be angry anymore. It was just as though loads were falling off me when I made that realization." 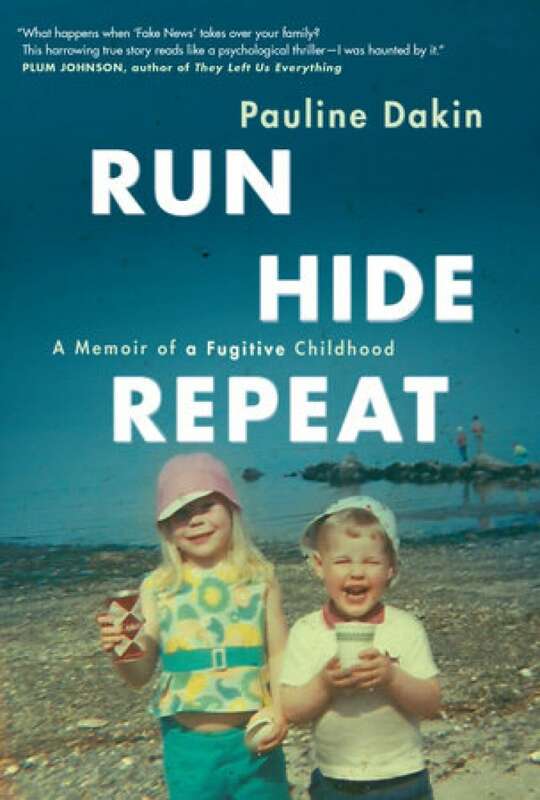 Dakin's book, Run, Hide, Repeat​: A Memoir of a Fugitive Childhood, has been published by Penguin Books and is available in book stores and online.